Flair Gun | Queer Music News: Is that a gun in your pocket or are you glad to hear me? We’re not even sure what Big Dipper had in mind here, but we’re not complaining. The burly bear doesn’t rap in this video, but instead celebrates his #thicklife taking the sexiest shower of all time to Ciara’s “Body Party” along with some questionable antics with some colorful dranks that we had to excuse ourselves for. While being irreverent, the homo-hopper knows how to be brilliant with sultriness, video effects and Gnarls Barkley homages. Directed and edited amazingly by Tobin Del Cuore, Big Dipper himself even gets some of the directing credit. We’re wondering what parts. The video is hard not to watch, but we are also developing a crush on Big Dipper too, so ya know, we had to. On the roots music site No Depression, Kim Ruehl held an enlightening interview with Amy Ray and her newest music. Talking up country music, Ray describes her perspective and sensibilities to the genre that aren’t on par with the country music people are mostly hearing on the radio these days. The interview mostly puts her newest release Goodnight Tender on display which she previewed with this single. But Ray says so much more that explains her writing on this album. From NoDepression.com. It’s Official! I just sent my first ever real SINGLE to iTunes/Spotify/Google Play/etc… and it will be live for all of you on Valentine’s Day, THIS FRIDAY, Feb. 14th. This will mean I am officially a published artist. Thank you all so much for your support on the road to get to this point, it has been INCREDIBLE and I am so excited to share this song with you- I think you’re going to love it. I will be also releasing the MUSIC VIDEO on the SAME DAY featuring the stunning Claudia Veizaga, me and the love that is play it cool. Thanks for making our holidays better! We’re so glad for this because as much as we love Tegan and Sara’s monster album Heartthrob, we love when artists talk a bit deeper into their tracks. Sort of like the director’s commentary only more interesting. They do that in a series of YouTube videos where they casually discuss their tracks while they banter between each other. So it’s totally informadorable. We’re loving this tidbit from Nhojj and that high note. Sing it! He dropped this homemade video of “Little Brother” just this week and what better way to deliver the humpday blues. So we’re glad Rufus Wainwright is dropping a greatest hits album, but he’s also delivering some newness to it. He posted this lyric video to his new song “Me and Liza” and now you can too. 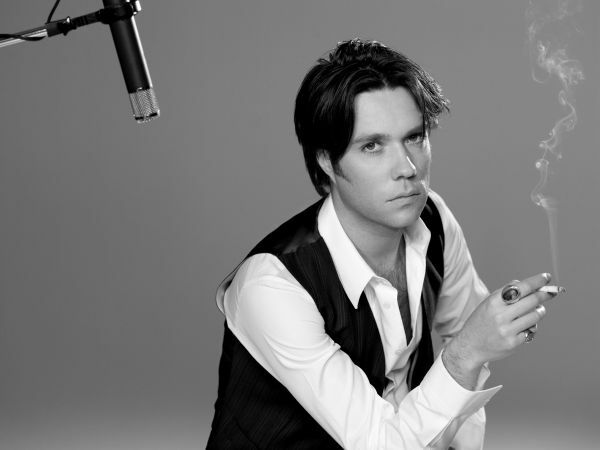 Vibrate – The Best of Rufus Wainwright will be out March 3.